Best Foods for Dry Skin. Best Foods to Eat for Dry Skin. Staying hydrated is important for your skin, but dry skin is sometimes missing important nutrients as well, not just moisture. The best foods for dry skin include plenty of water, along with vitamins, sulfur and other important minerals that have a positive effect on skin dryness. Find out which foods can make the biggest difference for your skin when you’re ready to accept that your diet plays an important part in the way your skin looks and feels. Vitamins are very important for a beautiful skin, and avocados deliver a great mix of antioxidants, including vitamins C and E. They’re also rich in monounsaturated fats, which can make a big difference for your skin’s level of moisture. These healthy fats won’t just get your skin moisturized, they can also help lock in moisture. Vitamin A is just as important, so a few of the best foods for dry skin are orange fruits and vegetables, high in beta-carotene, which is transformed into vitamin A by your body. From cantaloupe, papaya, mango, and pumpkin to carrots, butternut squash and sweet potatoes, make sure that these fruits and veggies get their due in your diet. 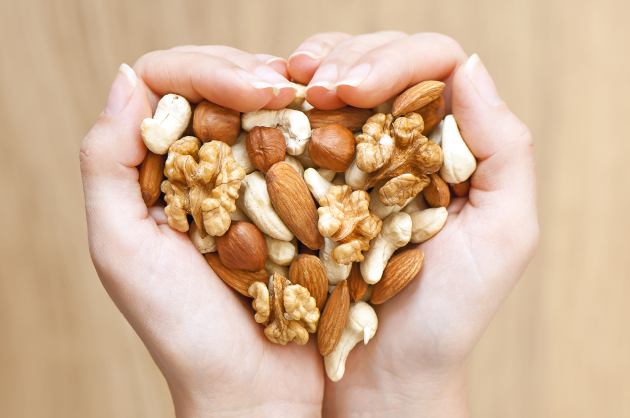 Walnuts and flax seeds deliver omega-3 and omega-6 fatty acids, which can have a very big impact on dry skin. They’re also rich in monounsaturated fats, and can help your skin regenerate faster and stay moisturized naturally. You’ll also get a beneficial effect if you eat other nuts and seeds, from almonds and pistachios to sunflower and pumpkin seeds. All fatty cold water fish are rich on omega-3s, but salmon has another great advantage, earning its spot among the best foods for dry skin. While the omega-3 fatty acids fight inflammation, salmon is also rich in selenium, a key mineral for glowing skin. Selenium helps detoxify your skin and also helps preserve its elasticity. An amazing cocktail of nutrients that help your skin, eggs should be eaten either poached or boiled. Avoid frying them in order to avoid saturated fats, that are much less beneficial for your skin. Rich in protein, biotin, lutein, and vitamins B5 and B12, they will definitely improve dry skin. Eggs are also rich in sulfur, which helps your skin stay hydrated and elastic. Other great sources of sulfur include asparagus and garlic. Rich in vitamins and with a high water content, leafy greens are among the best foods for dry skin. They also contain omega-4 fatty acids, along with iron. Spinach if your best bet, but any dark leafy greens can have the same beneficial effect. They also provide folic acids, which aids cell regeneration. Poultry can provide many benefits for your skin, thanks to lipoic acid. Dry and damaged skin can really use it, but turkey also provides another important mineral, zinc. If your skin is so dry that it cracks, zinc is an absolute must. Other great sources of zinc include oysters and beens, while lean beef provides both zinc and lipoic acid, but with added saturated fats when compared to turkey. One of the best foods for dry skin, fruit provides both a high water content and important vitamins and antioxidants that benefit your skin. 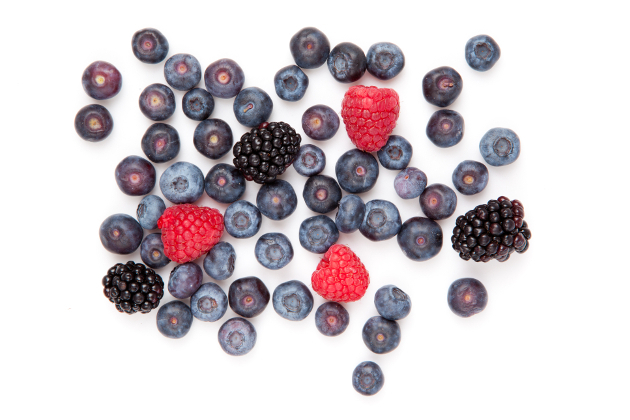 Berries are at the top of the list, thanks to their high content of antioxidant vitamins, but water-dense tropical fruit are just as good for your skin, including pineapple and mango. Start drizzling it on your salads to replace dressings which have a high saturated fats content, and are also usually very salty. Rich in vitamin E and healthy fats, extra virgin olive oil can be used as a topical treatment for dry skin as well, but adding it to your diet will definitely have a positive impact on your skin. Drinking enough water is probably the most important thing you can do. Celery and cucumbers are among the best foods for dry skin thanks to their high water content and silica, which improves the skin’s elasticity. However nothing can replace a few glasses of water a day. If you’re feeling thirsty, you’re already dehydrated, and your skin will suffer.